I am proud and excited to become the principal of the Clifton Area Neighborhood School. I am passionate about both fostering high academic achievement as well cultivating the social-emotional, artistic, and creative thinking skills instrumental for future student success within and beyond the classroom. I am elated to partner with a school community that shares my values. 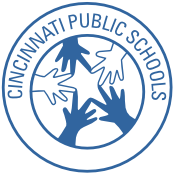 I currently work for Cincinnati Public Schools in the curriculum and instruction department. My role is to strengthen classroom instructional practices through data analysis and professional development. I also support the districtâ€™s initiative to embed the systems-based Quality Improvement model at the building level. Prior to my work here with Cincinnati Public Schools, I spent four years as a building administrator in the Lakota Local School District. I was also a classroom teacher for nine years with Wyoming City Schools. I hold a Bachelor of Arts degree from the University of Virginia as well as a Master of Education degree from Xavier University. Thank you for warmly welcoming me to the CANS community. I believe we have the opportunity to build a remarkable school together. I look forward to meeting you soon and to partnering closely with you to achieve our shared vision.